Situated at The Richmoor Hotel, in their under the street dungeons. 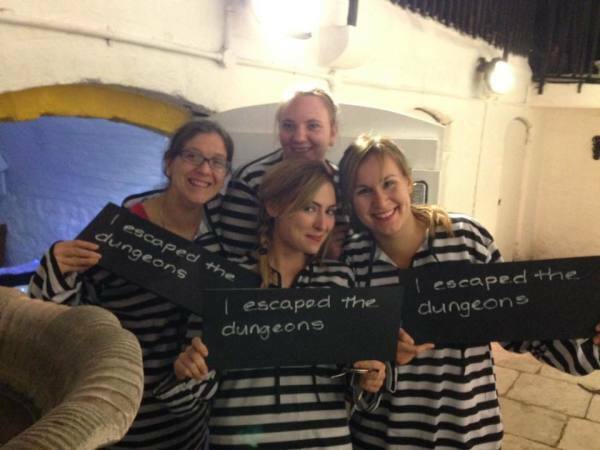 Get locked in and have to solve a whole sleuth of clues to escape. Enquire when booking your hotel room for extra discount. If you love the sand sculptures on the beach, you will absolutely love SandWorld. Founded by local businessman David Hicks and Mark Anderson, Weymouth’s resident sand sculptor and Grandson of Fred Darrington, who together clock up an impressive 95 years of carving out of the famous Weymouth sands. Explore the streets of Weymouth with a self-guided Murder Mystery themed walking Treasure Trail; a fun and imaginative way to explore Weymouth. RSPB Nature Reserve Radipole Lake covers a massive 222 acres and offers firm paths, hide and a visitor centre. Get the chance to see house sparrows, finches and robins, alongside uncommon or rare birds like Cetti's warblers and bitterns. Radipole is a great place to come for those interested in all aspects of wildlife-watching. There is plenty of fun for the whole family, including bird events, pond dipping and bug hunts. Enter a 7 acre world of underwater adventure with creatures who live on or in the sea. 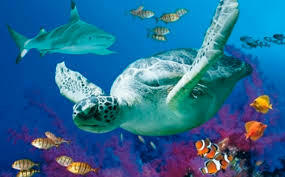 There are more than 1,000 amazing marine creatures from the ever-popular penguins, seals, otters, sharks and crocodiles to the spectacular Ocean Tunnel showcasing endangered green sea turtles. The Park also offers the opportunity for children over 8 and adults who wish to take part in the ‘Shark Trainer Experience.’ The day consists of a shark feed, penguin feed and turtle feed as well as assisting with general tasks that the animal care teams carry out such as temperature checks and water tests. Scale the 53m observation tower. 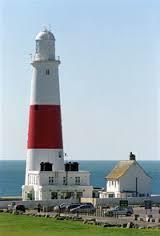 Where you can enjoy amazing 360º views of the Weymouth Bay, Portland and the Jurassic Coast. There are special events held throughout the year so make sure that you check out the website for the latest. Bring the family here to explore the labyrinth of underground passageways and outdoor areas that make this fort. There are displays throughout explaining about the history of the fort, you will see mammoth guns and cinema areas that chart the history. There are events held here throughout the year so make sure that you check out the website. Weymouth Watersports is in an ideal location for Kayaking and S.U.Ping (Stand Up Paddleboarding) and it's also great place to try wind sports! At low tide the water is knee deep which is an ideal height for water sports beginners so check the website for accurate local weather reports. Lots of rides and arcade games here to entertain the family. 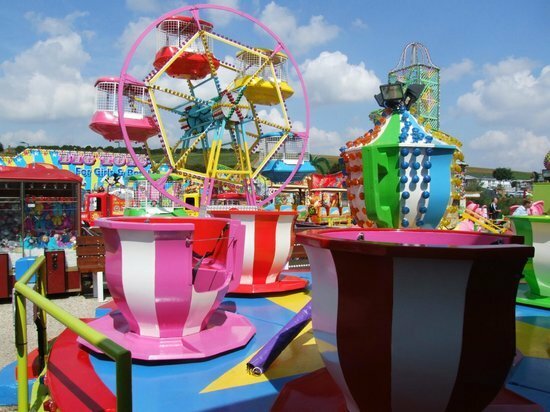 Have a ride on a flying elephant, teacups or the helter skelter. You can buy a wrist band and ride till your hearts content! Fancy's Family Farm is a fabulous place to bring the whole family for a wild day out! You'll come across fascinating wildlife such as Slow Worms and Common Lizards as well as some dazzling flowers to discover too! 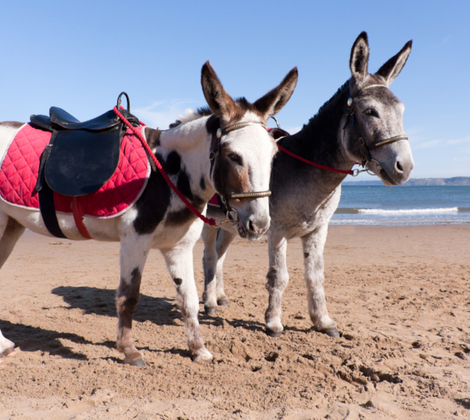 Of course, the stars of the attraction are the super cute animals including Dinky the Micro Miniature Horse, Archie the Goat, Clive the Donkey and even wallabies! Home and breeding ground the the only managed colony of mute swans, Abbotsbury Swannery provides a charming day out, with the opportunity to see these graceful creatures up close. They are used to people so permit a close but respectful approach, even when they are nesting with cygnets in the nest. There are many other birds around the grounds too, including pheasants. The swans are all free-flying and the area has also been used for a location in Harry Potter movies, which is sure to impress the kids. Stop for lunch at The Kennels Cafe and the kids can enjoy the play area, giving you time to enjoy the wonderful surroundings the Swannery has to offer. Sharkys is a wonderful place to take the kids for a day of fun and games! Try your hand at Slot Car Racing. Think scalectrix with a difference! You can battle your friends and family at a game a laser tag, in the laser zone and the kid can run riot in the soft play area! Soft play is available for parties and offers a range of fantastic packages. Need a fun and exciting activity to do in any weather? bring the family here, where there are automated tenpin bowling lanes, amusements and pool tables. For refuelling there is a diner and also for the adults a fully licensed bar. This friendly family run pottery painting studio is a great place to bring the family no matter the weather. There are over many different pottery items to choose from to decorate and take home or give to someone special as a gift. They also run classes throughout the year and it is the perfect idea for a kids party too so make sure you check out their website! 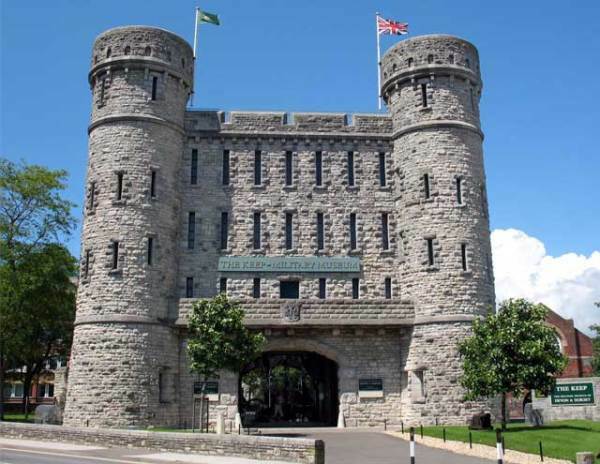 Laid out over three floors, you will find 300 years of military history within the walls of The Keep Military Museum. Artefacts include medals, uniforms and weapons, and there are stories of soldiers and their families from across the years. There are realistic battle environments, exhibitions and digital displays to give a true taste of military life. 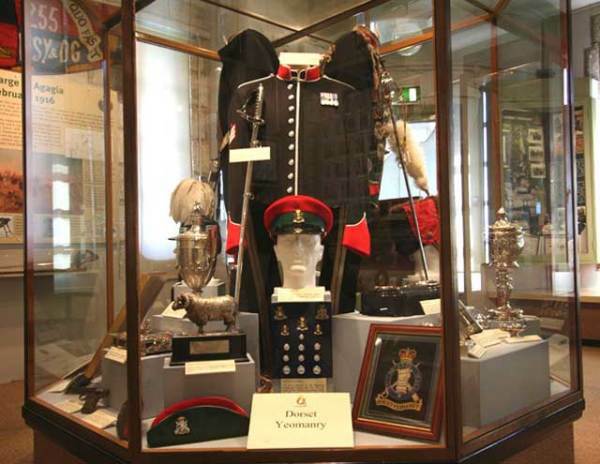 The museum's constituent regiments are The Devonshire Regiment, the Dorset Regiment, The Devonshire & Dorset Regiment, The Dorset Yeomanry, The Queen's Own Dorset Yeomanry, The Dorset Militia, The Royal Devon Yeomanry and 94 Field Regiment RA. The battlements also provide spectacular views across Dorset. 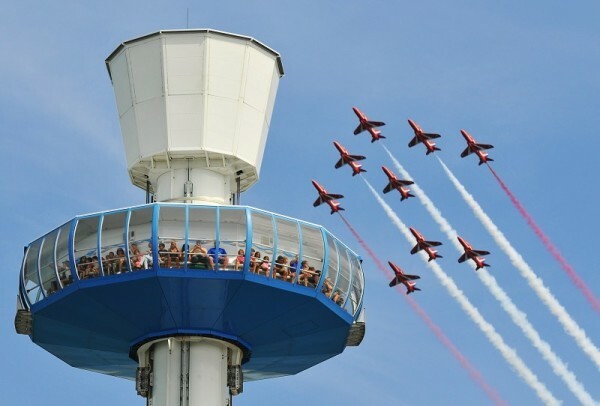 There is something for everyone, and the kids will love to learn all about military life and take pride in British military history. The Tutankhamun Exhibition recreates the tomb and treasures of the fascinating discovery. Using original materials and methods, craftsmen and artists have recreated the treasures, making them as identical as possible to the originals now in Egypt. The antechamber of the tomb has been recreated exactly as it was when Howard Carter entered it in 1922. The exhibition has been featured on in a number of national and international television programmes on Tutankhamun, due to it's accuracy. The Dinosaur Museum was established 1984 and presents an amazing mixture of dinosaur fossils, skeletons, life-size reconstructions and interactive displays such as the 'feelies' (a unique hands-on experience reveals what a T-Rex dinosaur felt like), colour box and parasaurlophus sound. Multi-media presentations provide a family friendly attraction with new features each year. Every Easter weekend there is a Great Dinosaur Easter Egg Hunt taking place. Visitors of all ages will enjoy The Dinosaur Museum. 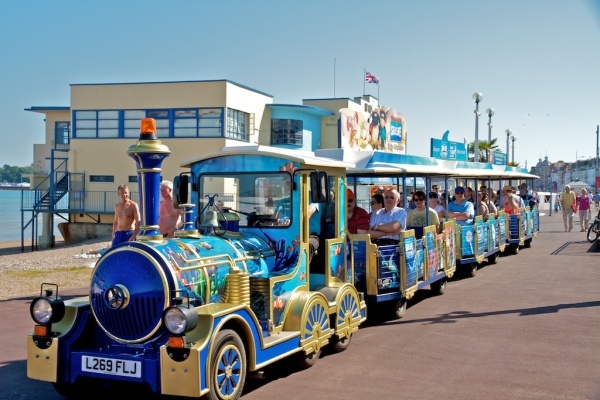 There are also fantastic fun-sheets for children, so they can get the best out of their visit. Visit here to learn all about the Terracotta Warriors without the trip to China, this fascinating museum explains all about the history of the first Emperor of China. All the terracotta warriors displayed in the museum have been specially made for exhibition by the technicians of the Lintong Museum Cultural Relic Workshop, Xian, China. Headed up by Edward Bear, you can meet the whole clan of the human-sized teddy bear family. From the very earliest teddies to modern television stars. There is also a teddy bear shop, so you can take a special friend home with you. This charming museum is unmissable for adults and kids alike. You'll be treated to one-of-a-kind bears, antique bears, modern collectables and even famous bears! This super-modern museum is stuffed full of fascinating exhibitions all about tanks and how they changed warfare forever. See how they have evolved from the early prototypes all the way through to the modern day machines. Throughout the year there are a range of exciting exhibitions, there's lots of hands-on activities for children and on certain days you can even watch tanks in action! This action-packed day will enthral all the family. Monkey World Ape Rescue Centre is the perfect place to take your little monkeys for the day! With over 240 rescued and endangered primates to see you will have a great time whilst learning all about their care and conservation. See the cheeky chimps and cute marmosets and don't miss visiting the lemurs or orangutans! There is also an amazing play area the kids will love and they hold brilliant birthday parties here too! Located in the historic Devenish Brewery building in Hope Square close to Weymouth old harbour Brewers Quay has been revitalised over the past couple of years and is now home to an antiques and collectables centre featuring an ever changing shopping experience. Within the victorian building you will also find a growing number of arts and crafts outlets.